Sleep apnea isn't just snoring. People with sleep apnea, actually experience pauses in breathing while they're asleep; in short, they’re having short bouts of suffocation. Left untreated, this can lead to a number of serious health problems. Sleep apnea can contribute to a range of physical health problems. These problems can include an increased risk for things such as irregular heartbeat, stroke, heart attack, high blood pressure, heart disease, and type 2 diabetes. The pauses in breathing caused by sleep apnea can make the sufferer wake up frequently in the night. This means that those with sleep apnea don’t get the amount or quality of sleep that they really need. Insufficient sleep is linked to an increased risk of depression and anxiety. Studies show that those who have sleep apnea are more likely to experience these mental health issues than the general population. The lack of sleep caused by sleep apnea can have significant negative impacts on daily life. Sleep apnea patients often feel exhausted, short tempered and listless, and have trouble concentrating on tasks. In addition, sleep apnea can affect patients’ relationships. Not only, as mentioned, are their personalities affected, but their sleep partners will also likely be getting less sleep because of the snoring. This results in greater stress and tension on the relationship. The combination of lack of sleep and lack of oxygen to the brain that sleep apnea entails can mean serious memory problems. 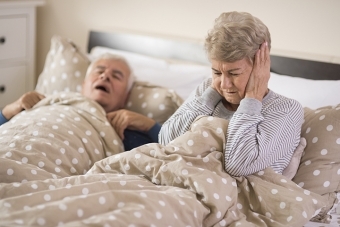 Sleep apnea has also been linked to a higher risk of dementia and Alzheimer’s. Studies show that people with sleep disordered breathing (like sleep apnea) experience earlier onset of mild cognitive impairment compared to others. That is to say, the forgetfulness we associate with old age starts younger for those suffering from sleep apnea. The inconvenience of sleep apnea testing and treatment is worth it for all the health issues you may be able to avoid as a result. If you think you are suffering from sleep apnea, do yourself and your family a favour, and get yourself assessed. The dentists at Cloverdale Crossing Dental Group in Surrey are experienced in the diagnosis and treatment of sleep apnea. Please contact our office today to book an assessment appointment.